*This is my second post today, please scroll down to view my WPlus9 Release post. It's time for a new challenge over at Tag You're It! I was inspired by Tracey's colors and playful placement! 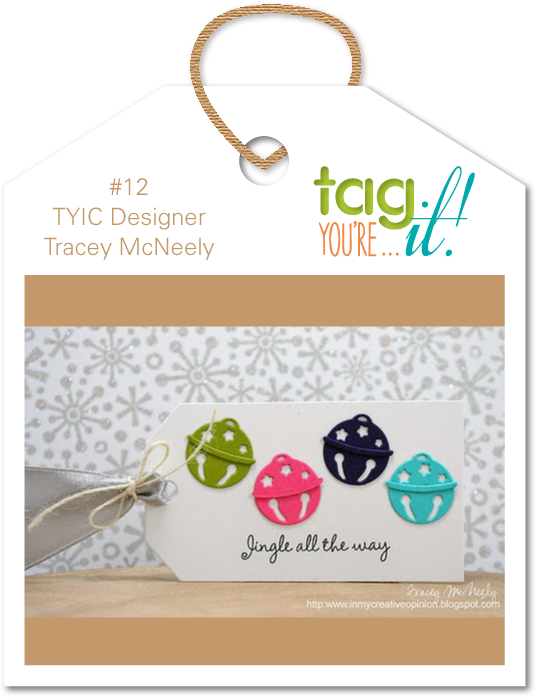 I love the non-traditional colors on Tracey's tag. I tend to be a traditional kind of girl when it comes to Christmas. I had fun stepping outside my comfort zone. Head over to Tag You're It! to see how the rest of the DT was inspired. I hope to see you playing along. Our challenges are open for two weeks, so you have plenty of time to play! This is so sweet and delicate!! You never disappointment Maureen! Love your CAS stamping. The coloured snowflakes are fabulous! Love the simplicity of your design! I love your card, Maureen -- it's so pretty!